There are many rural villages in the Philippines that have no understanding about the Good News of Jesus. There are also churches in the Philippines that have a vision to establish new churches in these villages and they contact ECPM for help. If ECPM agrees to help, they then come alongside these churches and the teams they send to the villages and help them to be effective. BHW partners with ECPM to come alongside these churches. The period of time that ECPM does this is 2 years. They then hand the new church over to the mother church or the team that has been in location. BHW funds these 2 year periods of partnership, assisting the team members to sustain themselves in their chosen locations. 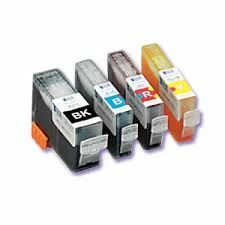 The strategy with this project is to start a business refilling printer cartridges. The key people have a business doing this already. They are willing to hand over some customers to the new project and then assist them to grow the business. It will initially start with around 20 clients. This should generate a significant amount of profit to start the process of self-sustainability. These clients are local businesses. For many years BHW has been partnering with ECPM to do this team mentoring work. More recently we have begun exploring the possibility of the team there generating some of their own income rather than relying on funds from outside the country. This is an income generation activity so there are many beneficiaries. However, the primary beneficiary will be ECPM. This will generate profit that will then contribue to the work they are doing. Indirectly the beneficiaries will be the team members who are supported from the funds generated and the people they work with. Some of these wll be those out in the rural villages and others are staff based at the office. We like it when local people are trying to find solutions to the funding of ministry. This project has the potential to grow and be an ongoing income generator. There are good people overseeing the project. They are already involved in this industry and know it well. It will also generate empoyment for someone. This partnership is related to PHI05, PHI07, PHI03 and PHI02. It has a particular relationship with PHI05 as it is this partnership that the funds will mainly go towards when they are generated. Elvin Buenviaje is the Director of ECPM and will be involved in the development of the project, though not the day to day management. Marwin and Vida Pesuelo will oversee the business. They are long term supporters of ECPM. The office is in the same building as their house and the school that Vida runs. Marwin has an ink filling business and is frequently involved as a volunteer in the ECPM work. 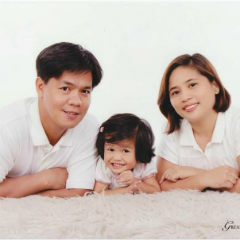 They were married in 2005 and have one daughter, Milcah. The vision is to move towards making ECPM a self-sustaining ministry. This will make it able to determine it's own future and grow as an indigenous work, not dependent on external funding sources. The strategy is to put in enough capital to set up an ink cartridge filling business that will generate enough profit to support the work. The strategy is to grow the business over time and then reduce the amount of external funding. An initial amount of US$3,080 is needed to get the business started. At some time in the future more funds may be required to grow the business.